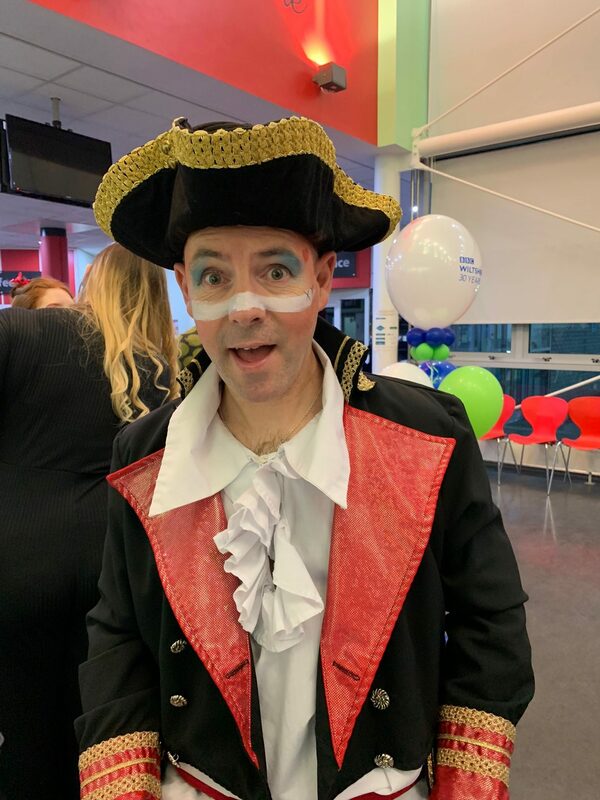 On the anniversary, Station Editor Mary Sanders said: “It’s been wonderful for BBC Wiltshire to spend the last 30 years at the heart of the community in Swindon and Wiltshire – covering major news events and celebrating the incredible achievements of people living in the county. 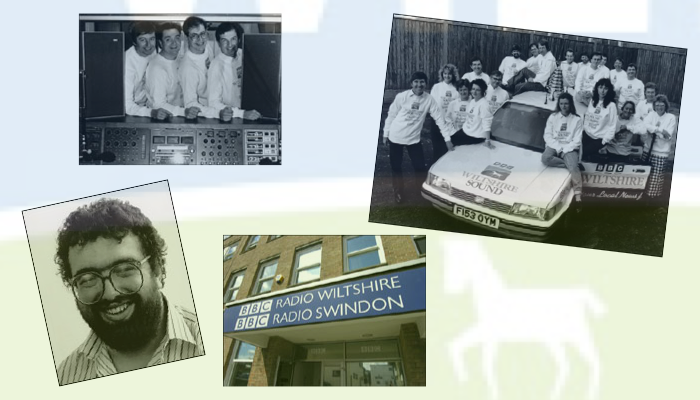 The station started life as BBC Wiltshire Sound on 4th April 1989, and not the usual BBC local radio format of “Radio Countyname” due to GWR owning the copyright of Wiltshire and Radio in any combination. The first presenter heard on air was Paul Chantler, whilst original presenter Graham Seaman remains on-air to this day, hosting weekday lunchtimes. Here’s a history of the station from the BBC archives. Speaking to the guests at the breakfast, station editor Mary Sanders said: “The most important people at BBC Wiltshire are, of course, our listeners – the people who send us their amazing stories, they celebrate with us, they cry with us, they tell us things they’ve never told anyone else, we work with them to make change happen, to improve things for people living here. 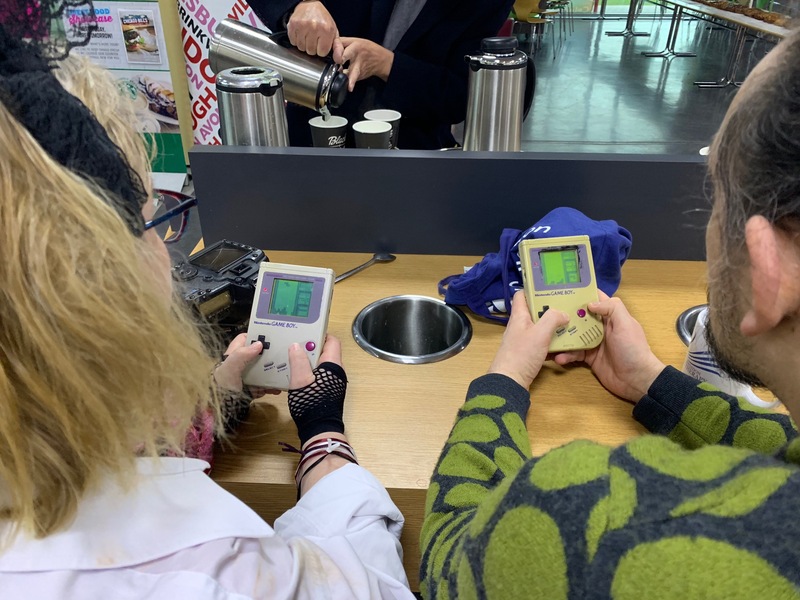 Swindon College students helped out at the event, doing hair and make up for guests, serving food and creating ‘80s themed art for the walls. 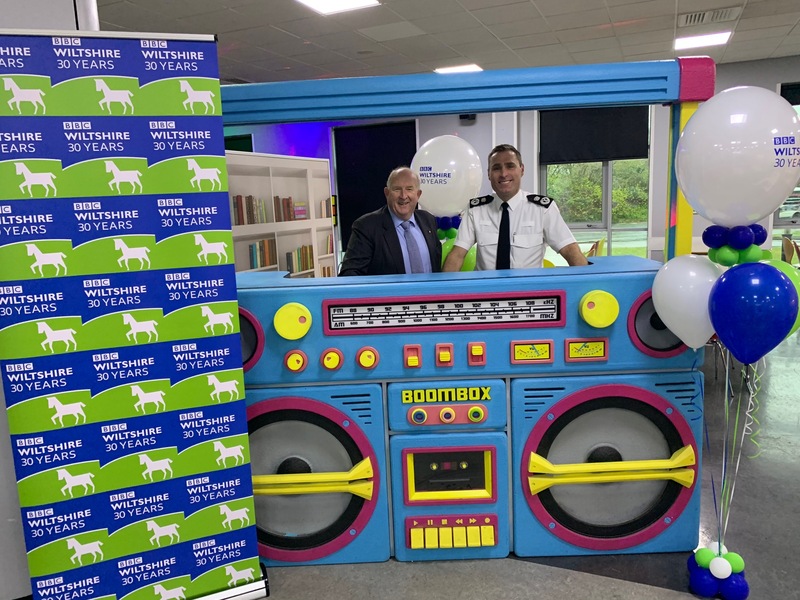 Guests included Wiltshire Police chief constable Kier Pritchard, Swindon Council leader David Renard and Swindon Advertiser editor Pete Gavan. This week has seen four Wiltshire celebrities guest editing the station – picking their own guests, songs and stories. Taking charge on Monday was Time Team favourite Phil Harding, on Tuesday it was Apprentice star Nick Hewer and on Wednesday it was Olympian Sharron Davies. On Thursday Ben Prater took his Breakfast Show to Swindon College and on Friday Salisbury’s own Christopher Biggins takes on the editor role. Steph Marshall, head of the BBC in the West, celebrated “30 fantastic years” during her speech. 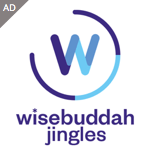 She added: “I believe being a voice and a companion to Wiltshire people is more important than ever today – especially with the sad news that our colleagues in Capital, Heart and Smooth will be closing their local breakfast shows. “Since Mary became editor of BBC Wiltshire last year I’ve been really pleased by how far she’s taken the station, bringing in many more women presenters, reaching out to younger audiences and trying out new and exciting things. “Bringing together the amazing all-Wiltshire choir to commemorate the centenary of the First World War and putting on a series of fascinating conversations with expert panellists at Salisbury Cathedral are just two examples. I know it’s 3×10 = 30, but was there a need to cut and paste the press release three times?! Anyway, Happy Birthday BBC Wiltshire Sound.